The BEST Zucchini Muffins. 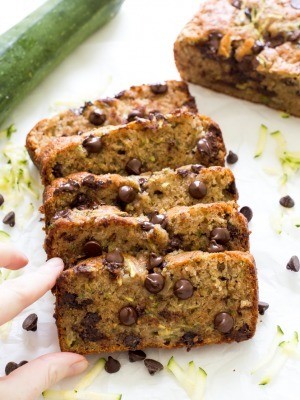 Loaded with greek yogurt, zucchini and chocolate chips. A great way to use up zucchini from your garden! 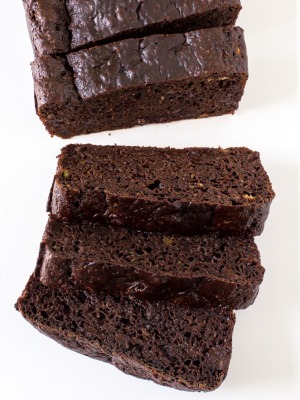 This recipe is adapted from my Chocolate Chip Zucchini Bread. These muffins are incredibly soft and tender, perfectly spiced and loaded with tons of zucchini. This recipe can be used for muffins or loafs! It’s super versatile and can easily be doubled! 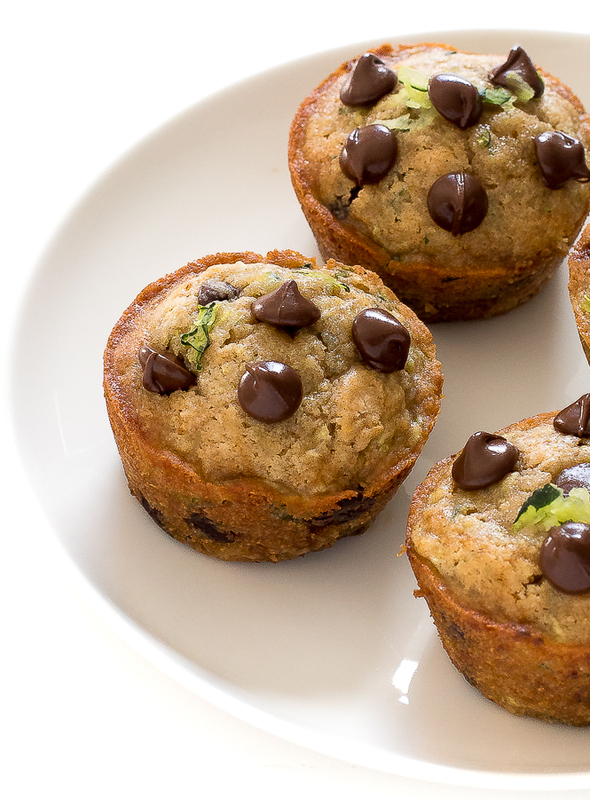 These Zucchini Muffins are super easy to make. Simply mix the dry and wet ingredients in separate bowls then fold the wet ingredients into the dry. 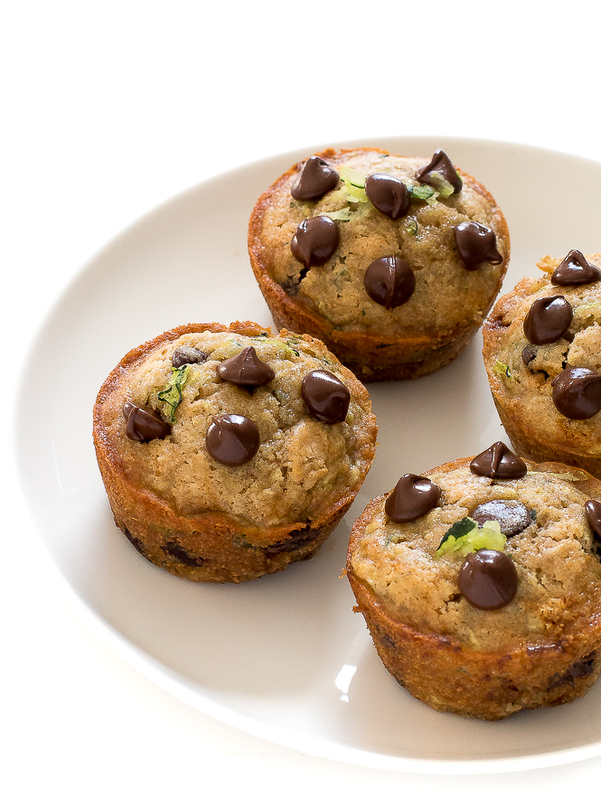 Mix in some chocolate chips and shredded zucchini then divide the batter between a greased muffin tin. To get a perfectly shaped muffin with a domed top I bake at 425 degrees for 5 minutes then reduce the oven temperature to 350°F and continue to bake for another 12-15 minutes. 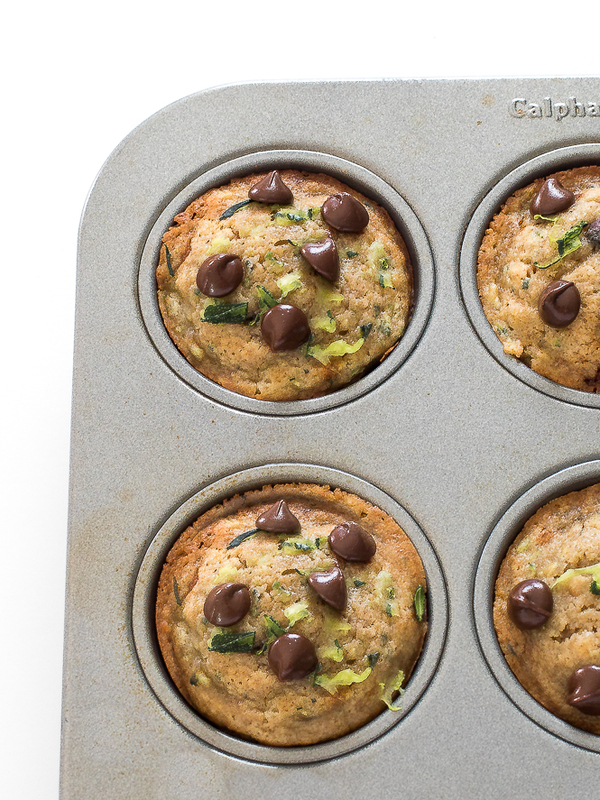 Enjoy these Zucchini Muffins for breakfast or as a snack! Enjoy! Preheat oven to 425 degrees. Grease a 12 cup muffin tin with cooking spray, set aside. Pour the batter into the prepared pan and bake for 5 minutes. Reduce the oven temperature to 350 degrees leaving the muffins in the oven. Continue cooking for an additional 13-15 minutes or until a toothpick comes out mostly clean. Allow the muffins to cool for 5 minutes in the pan then transfer to a cooling rack to cool completely.